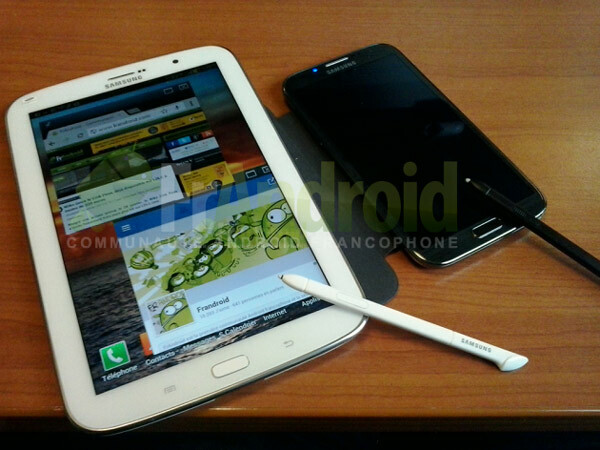 Rumors were there about the new Samsung Galaxy Note 8.0 which was expected to release in the early months of 2013. 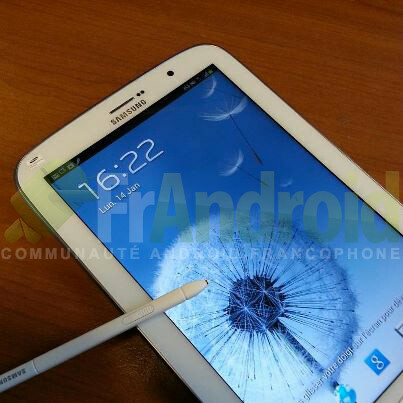 These rumors finally came true when the pictures of the Samsung Galaxy Note 8.0 were released on a site yesterday. The new version of the Samsung Galaxy Note is expected to be released by the end of February at the Mobile World Congress (MWC). The newest member of the Galaxy Note family, named the GT-N5100, features a bigger screen of 8 inch and improved specifications. During the last MWC event, Samsung declined speculations about a new 10.1 inch phablet, so we already knew that it has to be around 7 to 8 inches since most of the competitors also fall in this range. Although, these specifications are not full and final and we may see a little bit change in them when it finally arrives, but here is the expected hardware that the Samsung Galaxy Note 8.0 might have. 8 inch S-LCD with resolution of 1280 x 800 pixels. 16/32 GB of internal storage expandable with MicroSD card. Many people criticized heavily about the screen size of the Note Family but it came out to be a huge success just like the Samsung Galaxy series. The Samsung Galaxy Note 8.0 will challenge the currently available Google Nexus 7, Amazon Kindle Fire HD and the Apple iPad Mini. The price factor will also be a crucial part for Samsung as it will have to see the current market conditions and what the competitors are offering. It should not rely only on the Galaxy Note enthusiasts that do not care about the price tag on it and buy it anyway. The Samsung Galaxy Note 8.0 will primarily be used in portrait mode although many people would not be comfortable with that. Samsung has jumped in the tablet market a little late, but it is still very early to predict or conclude whether it will be a win for the Samsung or not but it will be interesting to see how the new Samsung Galaxy Note 8.0 will make its way into the tablet world and find its place right besides the giants – the iPad and the Nexus 7.